There's chocolate, and then there's chocolat. And this, my chickadees, is chocolate of the most decadent kind. The kind of chocolate that makes a town swoon. Have you ever seen such beautimous gourmet delights? While they don't come delivered by your very own Roux, I think these gifts are gorgeous in their own right. I mean, seriously. Hand painted. Bejeweled. Encased in mahogany. What! 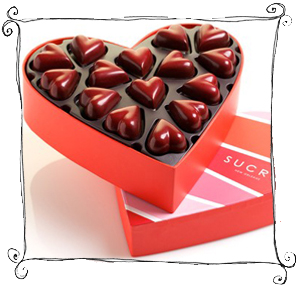 I say forget your Sweetheart-- order a box for yourself and dream of 21 Jump Street. 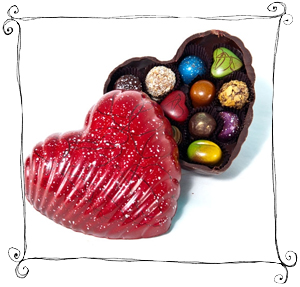 For the Love of Chocolate CollectionDark chocolate ganache blended with sweet red raspberries in a shimmery heart shell. 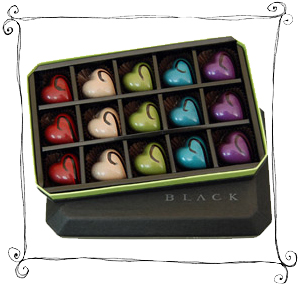 Valentine's Day BLACK Chocolate Gift BoxSingle origin chocolates from Ecuador, Dominican Republic, Madagascar, Bolivia and Venezuela. Confectionista CollectionFeatures crèmes—including a maple pecan creme, caramel, a truffle, solid chocolate and molasses chips. 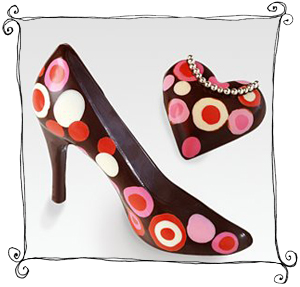 Large Chocolate HeartHand-painted and truffle chocolates in hand-painted chocolate heart box. 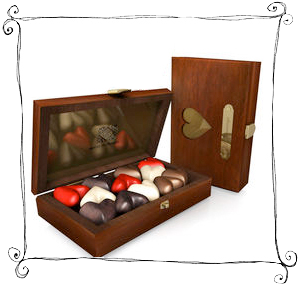 Romantic Collection- ToucheMilk chocolate Supreme with hazelnut praline, black Mystiquevanilla Bourbon caramel, white Toquade with chocolate ganacheand red Amore ganache scented with bergamot.